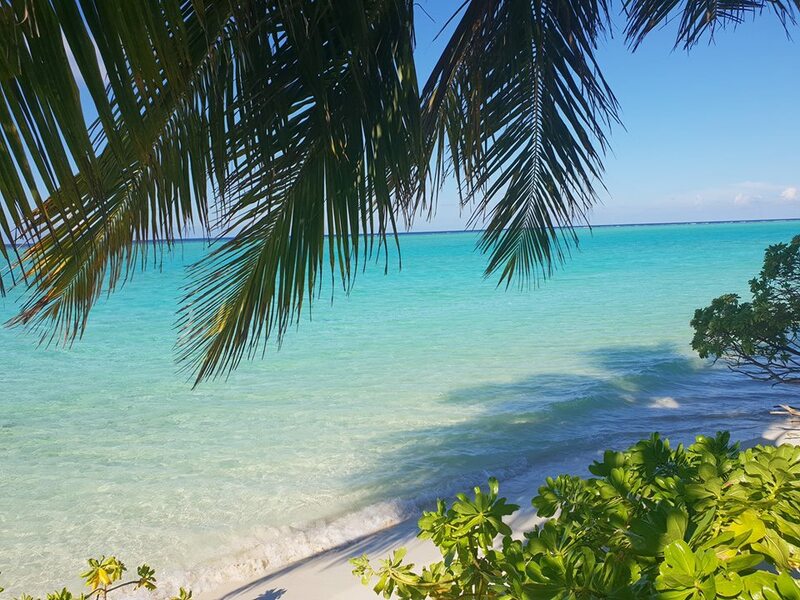 I want you to picture the Maldives for a minute. What are your first thoughts that come to mind? Perhaps “Paradise” or “Beautiful” or “I could never afford to go there”. While the first two are correct, the latter is most definitely incorrect. 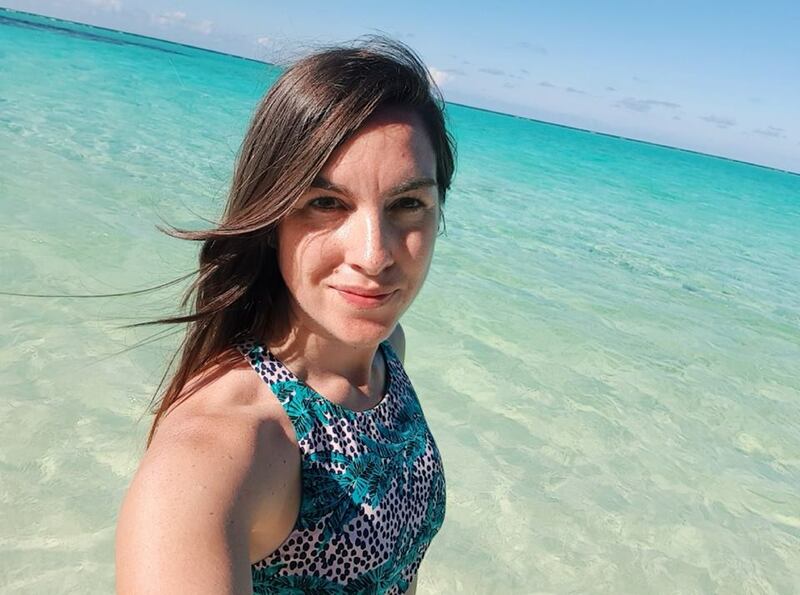 Below I explain how you can visit these beautiful islands on a budget, not spending thousands of dollars on a resort, but rather supporting responsible and community-based tourism and travelling like a local. 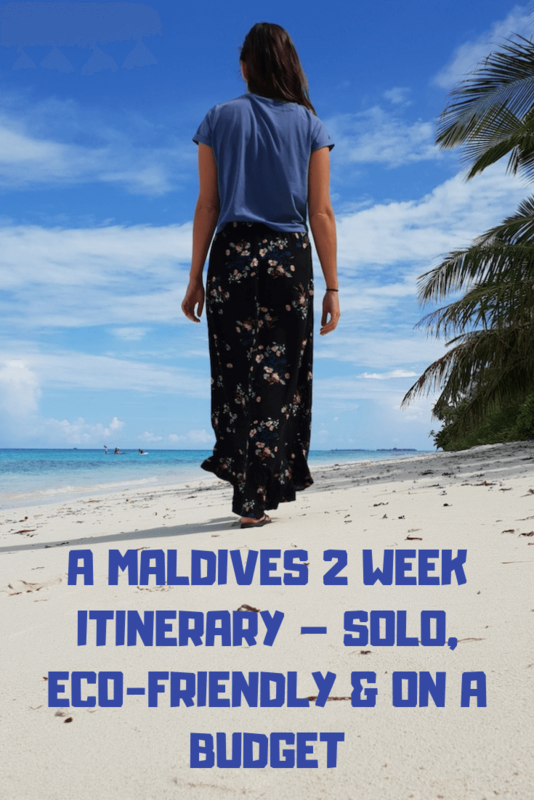 Here’s my Maldives 2 week sustainable budget travel itinerary and everything you need to know to make your adventures to the Maldives unforgettable. The Maldives are located off the coast of Sri Lanka and many airlines fly directly to the capital of Male. PSA: I’m going to give away one of my best secrets for finding cheap flights and your life may never be the same. 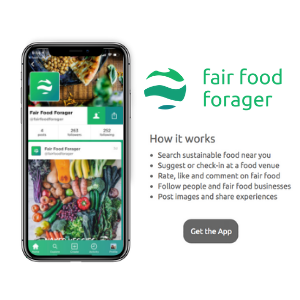 If you find it useful please do mention this article in your social media as it helps me to reach more people and promote organisations doing great things. Back in February, I scored return flights to Male from Sydney, via Kuala Lumpur, with AirAsia for just $440AUD return on this app. So, naturally, I couldn’t resist the urge to book it. The flight time was only 12 hours. 8 from SYD to KL and then 4 from KL to Male. Note: Budget airlines can be a little unreliable, for example, last-minute changes to flight times and dates, so if you’re pretty flexible with time they’re a great option but if not perhaps opt for a more reliable airline. 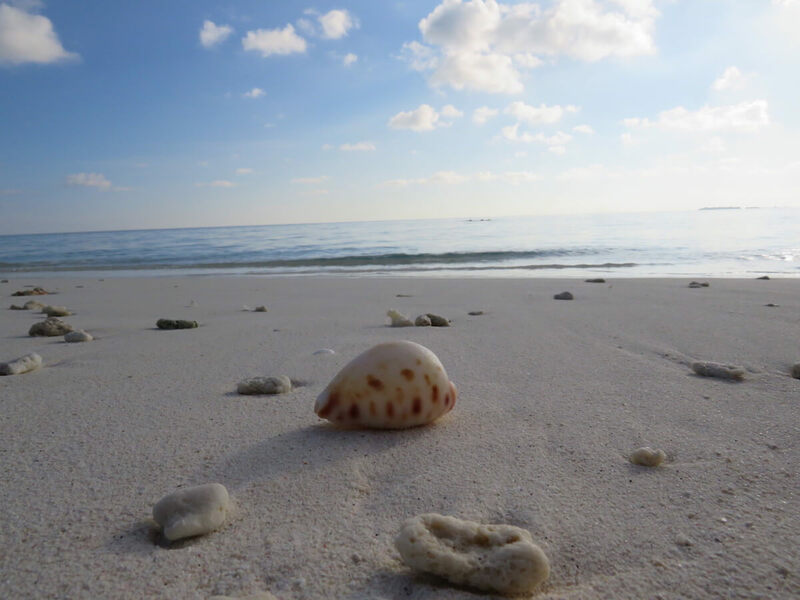 All flights will arrive in the capital of Male and then you will have to make your way to any one of the hundreds of inhabited islands is these atolls. Depending on your flight arrival time there is a chance you may have to spend time in Male or neighbouring Hulhumale. If your flight arrives in the early morning you could take a speedboat directly to your island destination on that particular day. 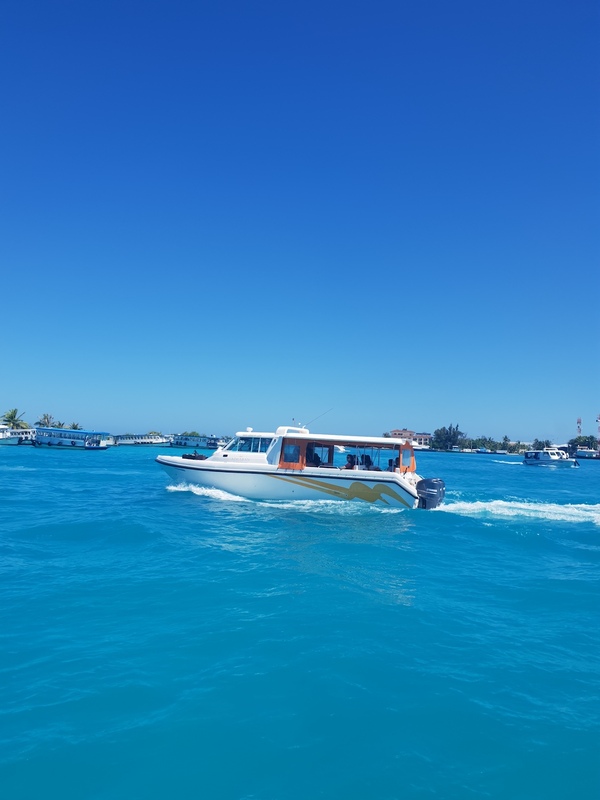 Speedboats are the easiest way to get around the Maldives. While they’re not the cheapest option (Average $30USD one-way), they’re the most convenient. Ask anyone and they’ll probably express their distaste for Male. 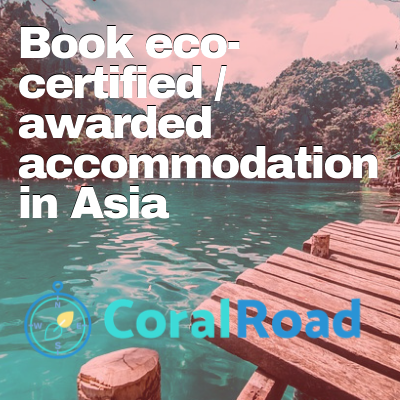 After all, it is one of the most densely populated cities in the world and looks more like a concrete jungle than an ocean paradise. 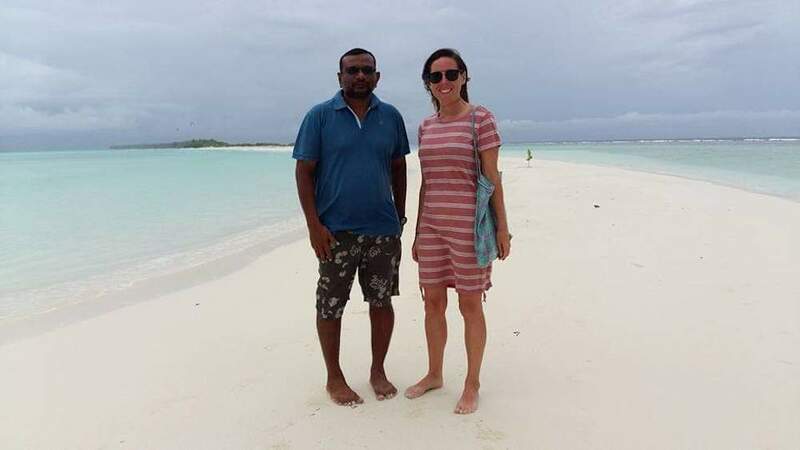 But, there is much to learn about the Maldivian culture from spending a day in its capital and you can do so with responsible travel company Secret Paradise Maldives who offer a Male City Tour accompanied by lunch with a local family. 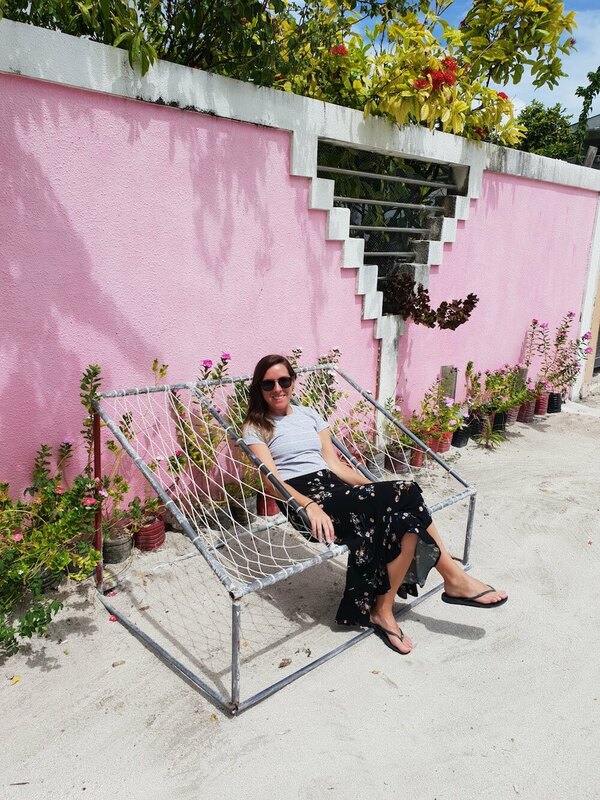 As far as accommodation goes the most common area to stay is in neighbouring Hulhumale, an artificial island built to take the pressure of Male, home to a number of guesthouses and resorts for people travelling through to their next island destinations. By no means is Hulhumale a true representation of the Maldives either. It is rife with construction that has corroded the assumingly once pristine beach here. While the beach has a few nice swimming spots, it is quite littered and lined with many local restaurants furthering the beach’s demise. 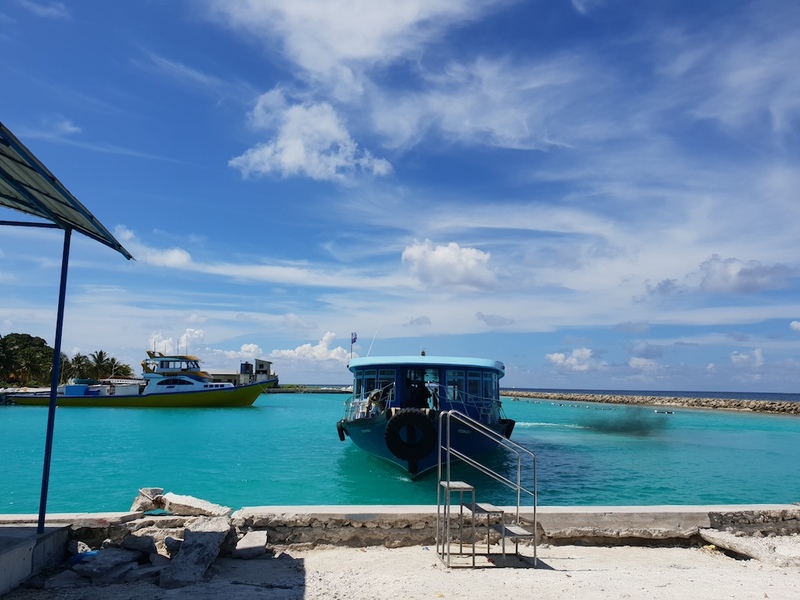 Discover Huraa The Local Way – A trip to the island of Huraa by public ferry offering firsthand information about local island life. 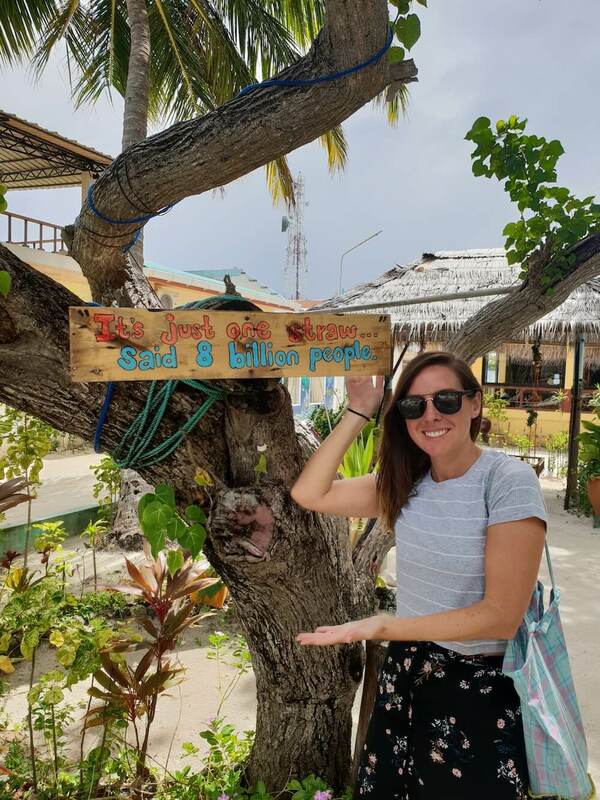 An Insight into Marine Conservation – A trip to local island Villmale to snorkel coral nurseries with conservationist Bebe from Save The Beach, learning about their contribution to conservation efforts in Villimale. Ukulhas is a small island located in the Alif Alif Atoll (an Atoll is a collective group of islands) with a population of a little over 1000 people and can be reached by local boat or speedboat from the capital Male. 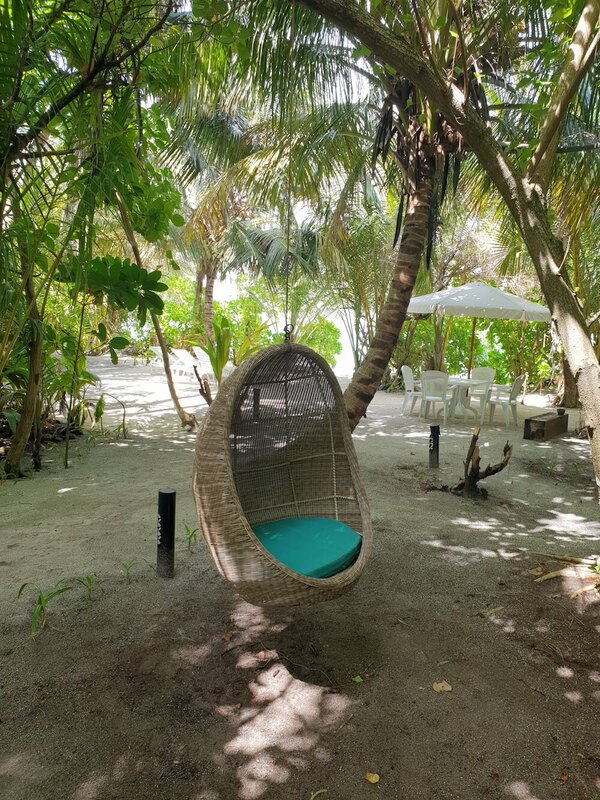 I learned that in 2014 Ukulhas achieved a Green Leaf award for its outstanding services on protecting and preserving the island’s environment, so I wanted to catch a glimpse of the Maldives most eco-friendly local island. Let’s just say I wasn’t disappointed. Thoddoo was the second island I visited during my time in the Maldives. 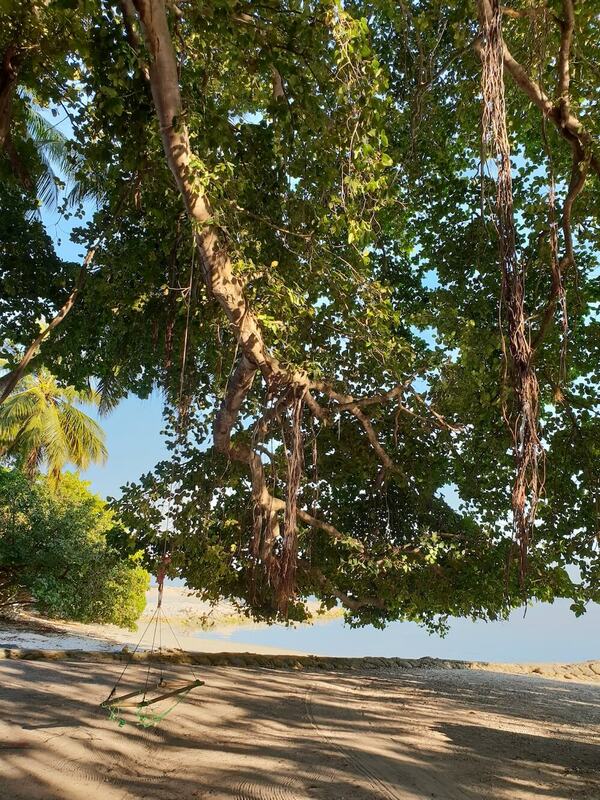 It was recommended to me because of its close proximity to Ukulhas, and also because it’s known as the “Green” island, due to rich vegetation and fruit farming. In fact, most of the Maldives’ Papaya and Watermelon comes from this island. This island has the most beautiful coloured waters I had seen during my time here and I will certainly be returning again one day! Getting there: I arrived at Thoddoo on the local ferry from Ukulhas, that had one short stop off at neighbouring Rasdhoo before the final destination. The 1.5-hour ferry cost me a total of $2 and I liaised with Ukulhas Inn regarding ferry times. 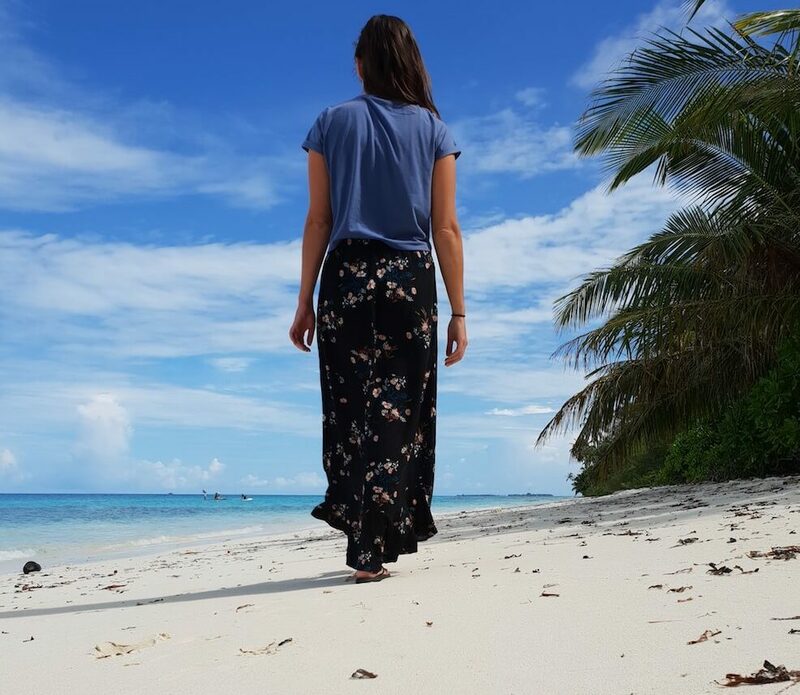 I decided to change pace and explore the southern atolls meaning I had to pass back through Male and head south. 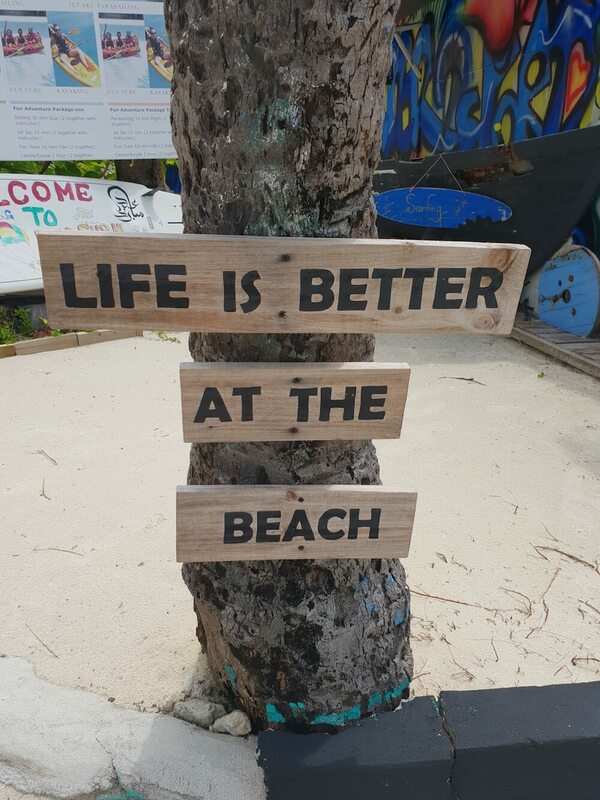 There are just as many beautiful islands in the south and an abundance of sea life too. 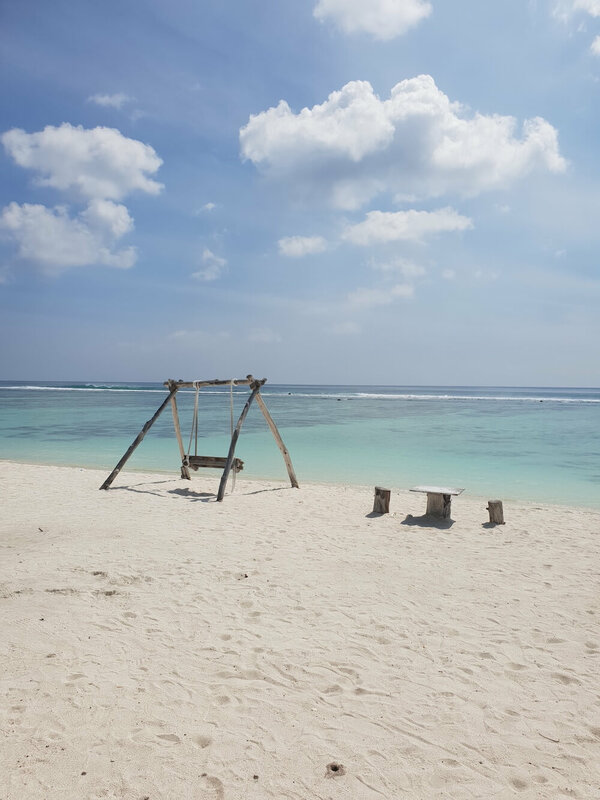 I chose Dhigurah as my destination because I was curious to explore the ethics of Whale Shark tourism and the Alif Dhaal Atoll is known as a direct route for the gentle giants of the ocean. 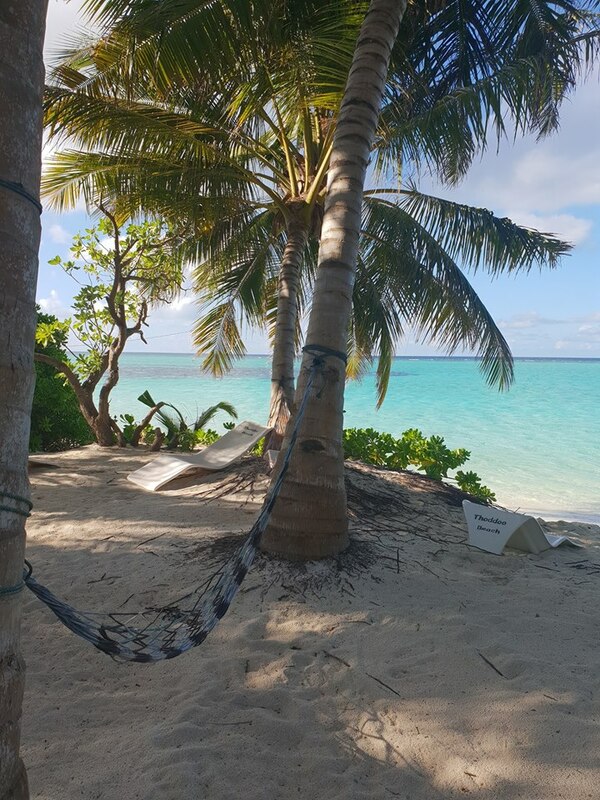 Click here to read about the ethics of Whale Shark tourism in Dhigurah. Dhigurah was the largest island I visited during my time in the Maldives, spanning 4 kilometres in length. The beaches were beautiful but also suffered from litter washing in with the tides. 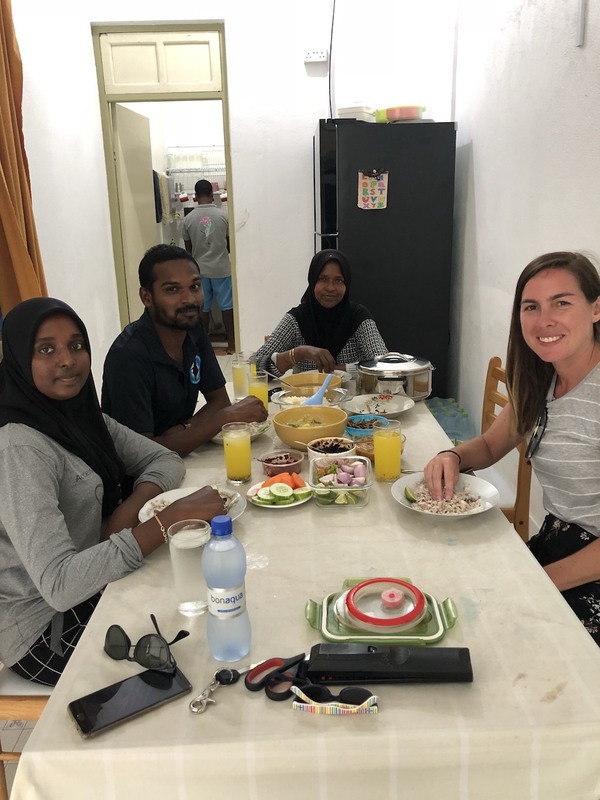 With sustainability in mind, I spoke with the island chief and learned about their commitment to keeping Dhigurah clean, including running regular beach cleanups and education programs. I couldn’t complete my trip without a stop in Maafushi, the Maldives most developed local island. Maafushi is the “go to” island for most backpackers as it is a short 30 min speedboat from Male. The island is still tranquil but there is a lot of development going up. It reminded me of what Koh Samui would have been like 20 years ago before mass tourism hit. While I didn’t dislike Maafushi, as I witnessed the construction of 8 story hotels there was a part of me that hoped mass tourism wouldn’t ruin the island. Fun fact: There is a “booze cruise” from Maafushi where you can legally drink alcohol out on the water. 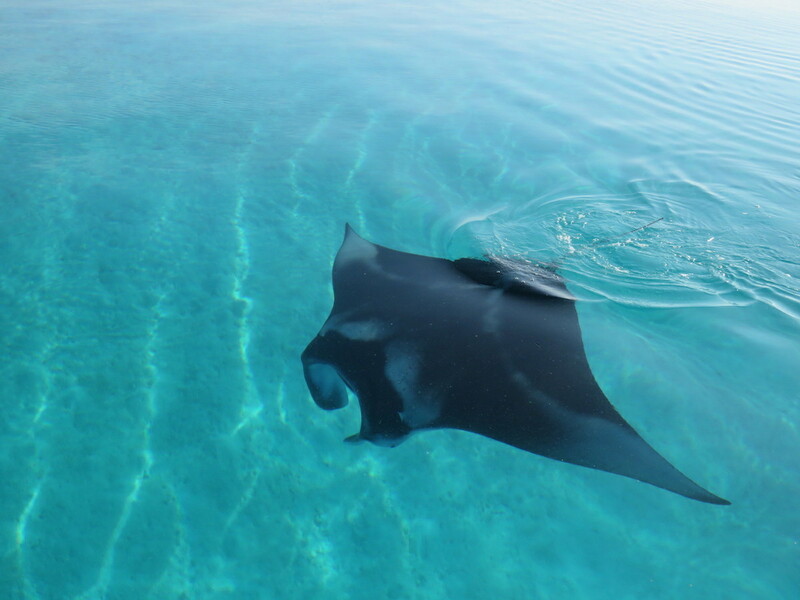 From Maafushi there are a lot of day trips you can do including snorkelling, diving, fishing, sand-bank tours and water sports. 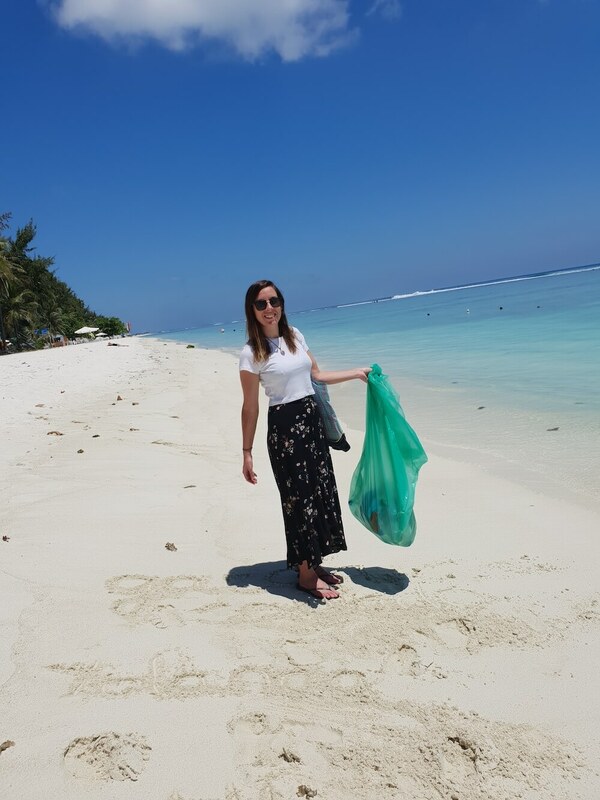 One would be naive to think that the Maldives doesn’t suffer from plastic pollution as much as it’s southeast Asian counterparts. 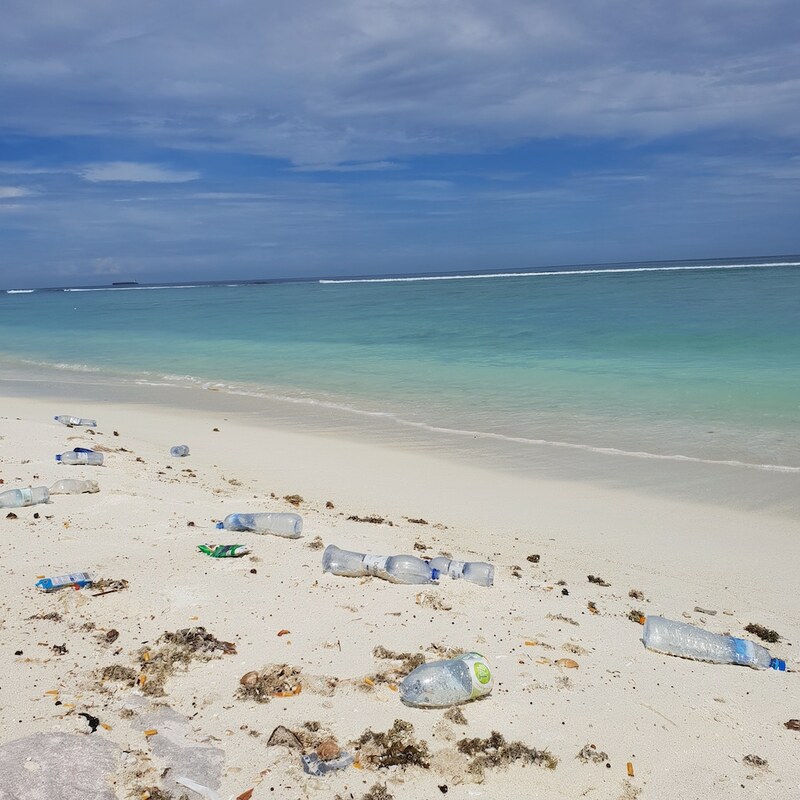 The truth is that the Maldives is just as vulnerable to the impact of plastic pollution than any other country, if not even more because it’s surrounded by ocean. 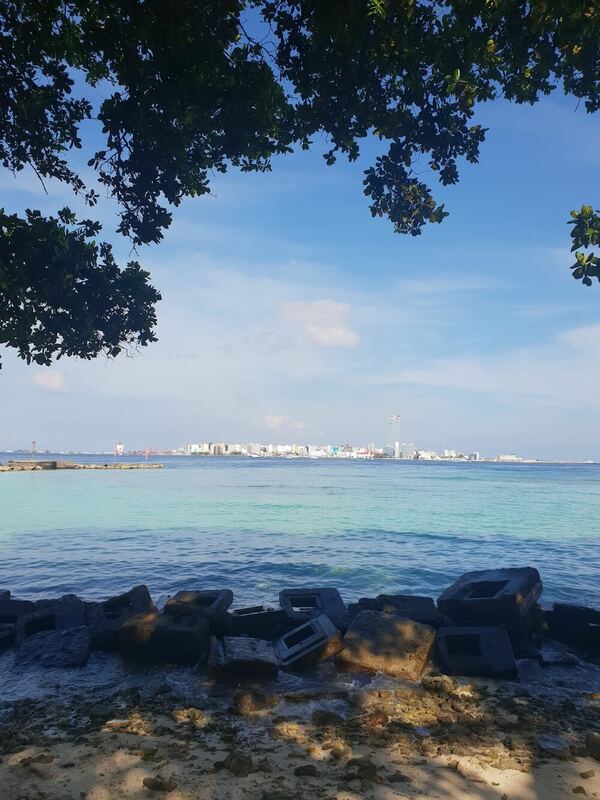 The Maldives has no recycling facilities – and they use a LOT of plastic. So where does it all go? To one big giant land-fill island to pile up and get burned. Plastic is rife here in these islands, and almost everywhere you turn someone is offering you a single-use plastic water bottle. The good news is that island chiefs and governing bodies are aware of this issue and want to try and implement solutions before it gets any worse. The hospitality industry is slowly moving away from plastic use but according to many of the people I interviewed, this change may not take place for a few years yet. What can you do? 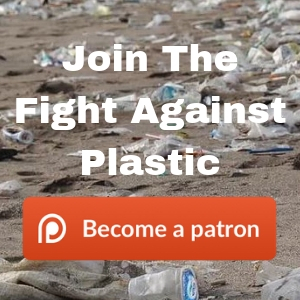 Refuse single-use plastic wherever possible and share alternative solutions. How is it travelling as a solo female? 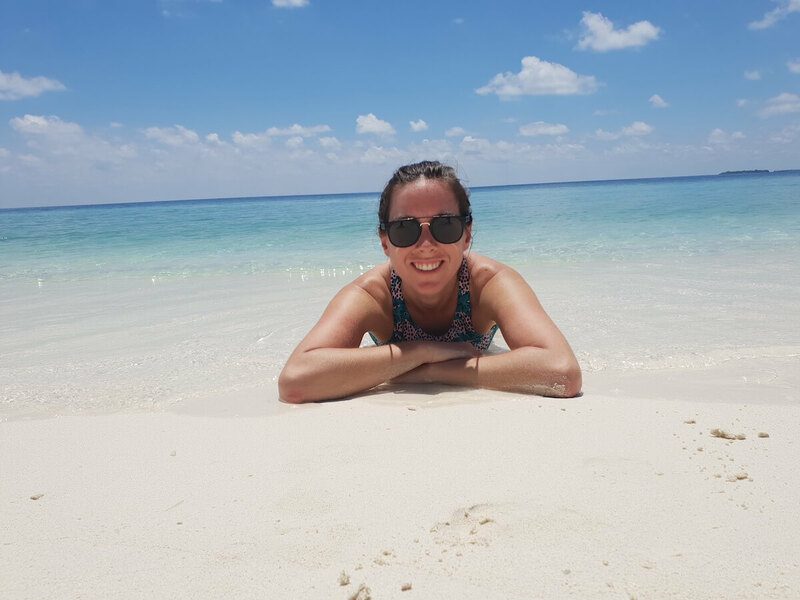 In my experience, I felt extremely safe the whole time I travelled through the Maldives. I found the people to be extremely friendly and extremely hospitable. I was treated with respect and was always helped when I needed assistance. Most people speak English so it was very easy for me to get around, and because alcohol is illegal and most islands lack nightlife I never really had to worry about running into any danger after sundown. 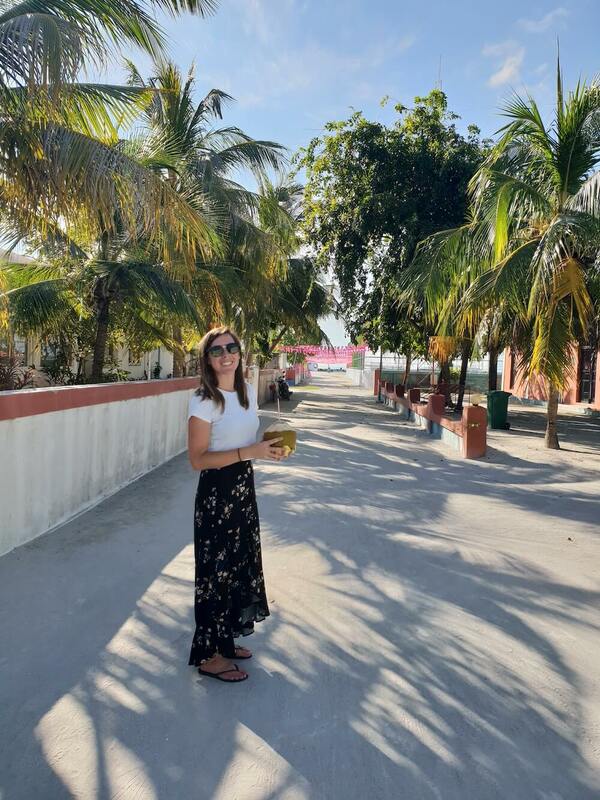 I did however always cover my shoulders and knees when in the local areas and I think this is an important part of gaining and giving respect to the Maldives’ customs. Is it easy to go to a resort? Yes, of course, you can choose to stay in a resort for a hefty price tag. 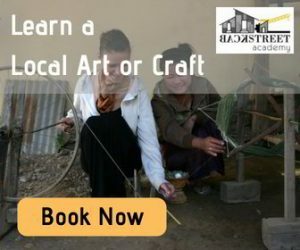 The cheapest one I came across was about $700AUD per night which is pretty much my whole accommodation cost for the 2 weeks I was there. One other option is to take a day trip or evening trip to a resort. This can cost as little as $100USD and this money can be used as a tab in the resort’s restaurant or bar. 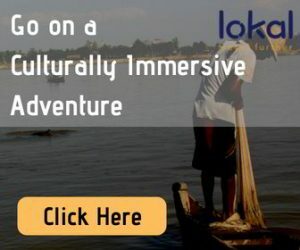 You will also need to pay for the return trip there by speedboat. Check in with your guesthouse to see if they offer resort trips. 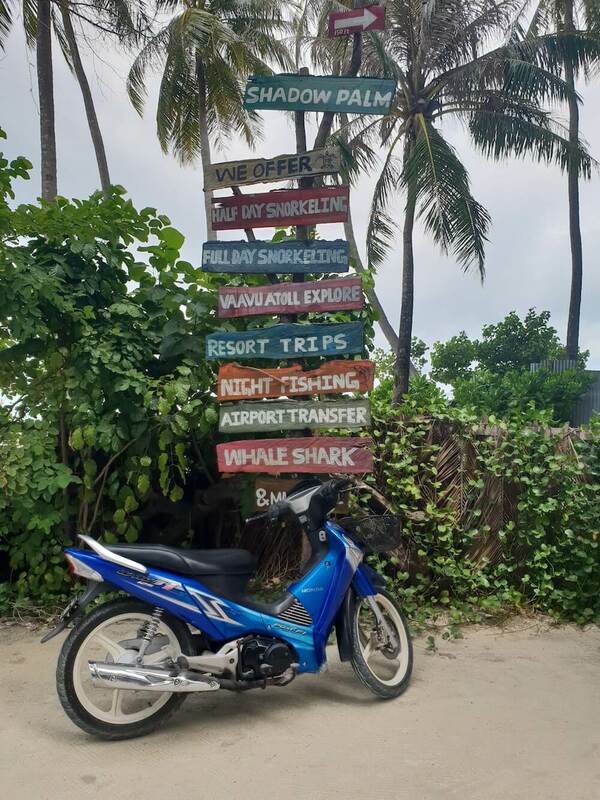 I only touched on a small part of the Maldives, there are hundreds of more islands to explore, all which can be done the local way and without breaking the bank account. 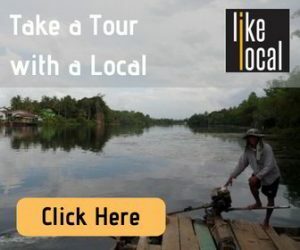 I was so happy I could participate in community-based tourism there and ensure my money is staying in the local economy. If you have any more questions for me please do leave them in the comments below or get in touch via email.